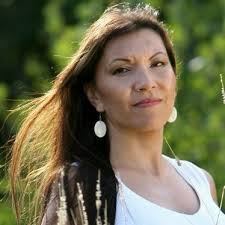 Lisa Meeches is one of the most dynamic and respected producers in the film and television industry, and a proud Ojibway from Long Plain First Nation. Ms. Meeches has produced numerous projects to critical acclaim. Including more than 150 hours of THE SHARING CIRCLE, Canada’s longest running Indigenous television series; ICE ROAD TRUCKERS one of the most prolific television documentary series in US and Canadian television history, Tipi Tales, a Parent’s Choice award winning children’s series; and ELIJAH, a Gemini Award winning MOW; and JACK the winner of two Canadian Screen Awards. As host of THE SHARING CIRCLE and TAKEN, Ms. Meeches is a recognizable presence across Canada. Other Eagle Vision Inc. productions include: LOVESICK starring Jay Baruchel and Jessica Paré, WALK ALL OVER ME, which premiered at TIFF and sold to the Weinstein Company, the politically-charged romantic comedy BLUE STATE, and the Academy Award-winning feature film CAPOTE. One of her recent projects, a four time time CSA nominee and two time winner WE WERE CHILDREN, is widely praised by residential school survivors for its power to heal, while general audiences have been moved by its accurate and truthful portrayal of the impacts of Canada’s colonial past. Lisa also devotes considerable time to other causes. Lisa has been critical to the success of the MANITO AHBEE FESTIVAL since inception twelve years ago where she has acted in the capacity of board chair on a volunteer basis until recently stepping down to assume the role of Executive Director. Lisa also sits on the national board of the Heart and Stroke Foundation. True to her heritage, Lisa practices the customs of her faith and is a renowned champion fancy shawl dancer. Lisa is Executive Producer of Orange Daisy Project, a social action campaign in support of mental health for teen girls. Lisa has been the recipient of many local, regional, and national awards for her exemplary contributions in culture, media, and entrepreneurship. Among her numerous awards and nominations are: the 2007 National Aboriginal Achievement Award for Media & Communication, the 2009 YMCA-YWCA Woman of Distinction Award in the area of Creative Communications, the 2009 University of Manitoba’s Excellence in Aboriginal Business Leadership Award and the Women in Film and Television 2009 Crystal Award for Mentorship. In 2017 Lisa was made a Member of the Order of Manitoba. She is a former member of the University of Manitoba Board of Governors, was one of the Heart and Stroke Foundation Red Women, a past board member for the United Way and the former co-chair of Manitoba Film and Music. She is the founder and Training Programs Advisor for the NSI CBC New Indigenous Voices program, and a current board member of the Canadian Chamber of Commerce. Lisa has two wonderful sons and beautiful daughter.